Following are eight of the world's best places to think about spending time in retirement. These locations have something else in common, too. 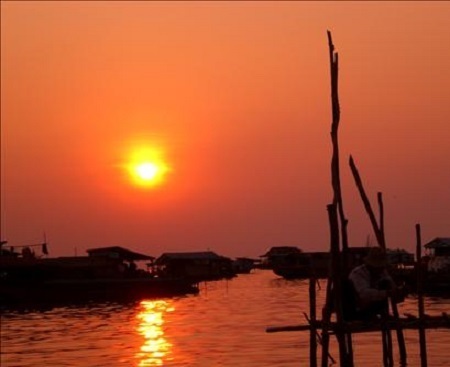 Each is also one of the best spots in the world to savor sunset. 1. Siem Reap, Cambodia -- Every day around 4 p.m. the streets near Siem Reap's Phnom Bakheng temple begin to fill with smiling crowds of both locals and tourists, all gathering to watch for the magical moment when, for just a few seconds, the sun's setting rays catch the top of Tonlé Sap Lake, blinding spectators with glittering, shimmering light. 2. 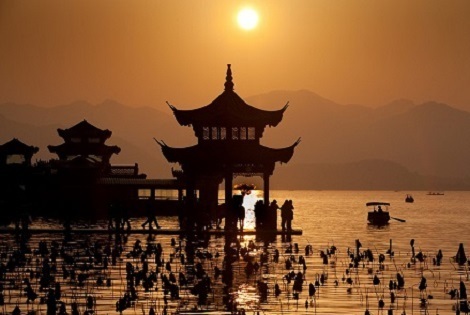 West Lake, Hangzhou, China -- West lake has inspired Chinese artists and poets for centuries and is an unbeatable spot from which to watch a sunset over China. The shores of the freshwater lake are lined with cherry blossoms and hundreds-of-years-old bonsai trees, and nearby are temples, pagodas, Zen gardens, and historical relics. The location has been called "an idealized fusion between humans and nature." The famous Leifang Pagoda, located on these shores, is illuminated by the sun's final rays each day. 3. 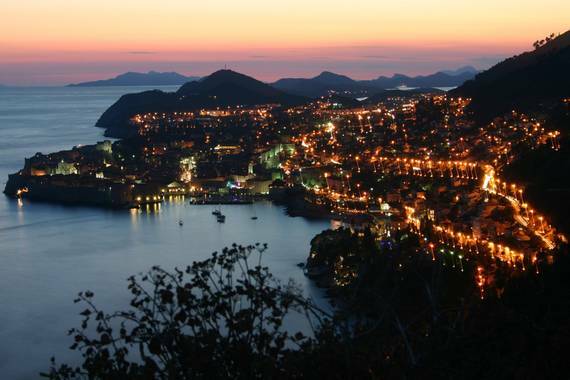 Dubrovnik, Croatia -- This ancient city, the "Pearl of the Adriatic," is one of the world's jewels, and its still-intact walls make for a front-row seat for dramatic sunsets. 4. 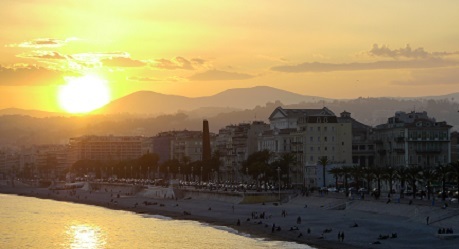 Nice, France -- Does life get any more romantic than the French Riviera? This world of ours is certainly no more picturesque than along this Mediterranean coast, especially at sunset, when the light bathes the city in pastel shades. Living here, you could enjoy this daily Matisse-worthy spectacle daily. 5. Tralee, Ireland -- This quaint coastal town is one of the friendliest and most traditional in Ireland and a great place to catch an Irish sunset. 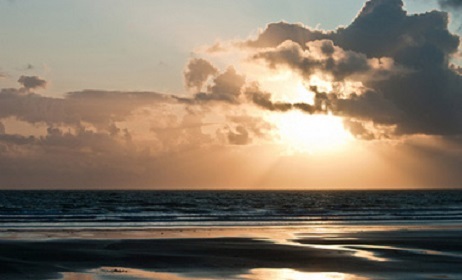 Tralee is on this country's western coast, about halfway between Galway and the south coast, and the sunsets off these shores are dramatic. As the Irish blessing goes: May there be just enough clouds on your horizon to cause a beautiful sunset. 6. 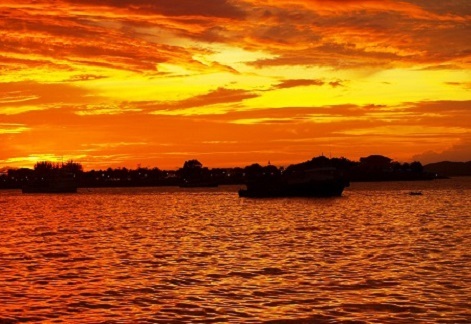 Kota Kinabalu, Borneo, Malaysia -- Often overlooked in favor of more high-profile destinations nearby, Borneo's coastal town of Kota Kinabalu offers a dramatic backdrop for sunset-viewing. Hit the local food market for some dumplings or noodles, grab your picnic blanket, and set up camp on the town's beach. 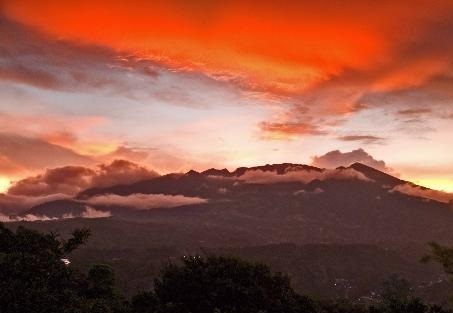 From that spot, you'll have a perfect view as the sun falls behind Mount Kinabalu (the highest peak in Borneo). 7. Volcan, Panama -- This town in the central highlands of Panama is home to an emerging expat retiree community. The top of its nearby dormant volcano is the only place in the world where you can see both the Pacific and the Atlantic oceans, and it's also a great place to witness dramatic and fiery mountain sunsets. 8. Punta del Este, Uruguay -- The St. Tropez of Uruguay, this chic, trendy coastal city is both one of the world's best places to retire to the beach and also one of the best places in the Americas to watch the setting sun. 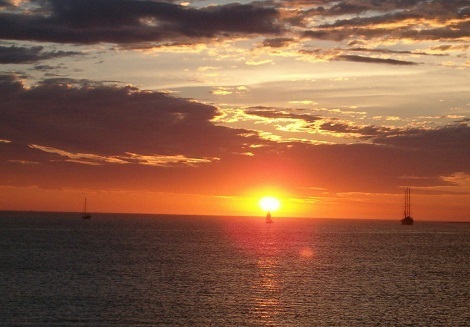 Punta del Este sits on a peninsula, with the heady Atlantic Ocean on one side and a calm estuary on the other. The setting sun lights up the waters all around.